Hoong Hei Khoon, one of the best disciples of the Venerable Chee Seen, was from Fa Yun, or the Flower District, of Guangdong Province. When he was small, he lost his parents. The Venerable Chee Seen found him on the street, and took him back to the Shaolin Monastery. One day he returned to the Flower District. After many years at the Shaolin Monastery, he found that the Flower District had become prosperous. But when he realized that he had no relations in the district, and not even a place to rest his feet, sadness rose to his heart. Lifting a blade to cut water, water continues to flow. Lifting a glass to drink wine, sadness grows. He checked his money, and found that it was not much left. So he had a plan to sell medicated pills to overcome injuries due to falling and being hit. There were a lot of people seeing him perform kungfu as a prelude to selling medicated pills, but when he started to sell, not a single customer bought his pills. Disappointed he was about to pack up to leave, when a woman came forward. This woman. Madame Li, was the mother of Black Bone Cheong. Hoong Hei Khoon followed the woman to her house, and she led him straight to her son. Hoong Hei Khoon found Black Bone Cheong was seriously injured and was semi-unconscious, his face pale like death, and he could not even speak. Hoong Hei Khoon gently slapped on an energy point to open it, and clear the energy blockage. Then he prescribed some medicine for Black Bone Cheong to take. After half a unit of Chinese time (which was an hour), Black Bone Cheong slowly opened his eyes and began to speak softly. He complained of pain. Hoong Hei Khoon found that the patient was seriously injured. He also wanted to know the cause of his injury. So he agreed. After taking some medication, Black Bone Cheong slept until evening. When he awoke, he said he was very hungry. Madame Li fed him some broth. 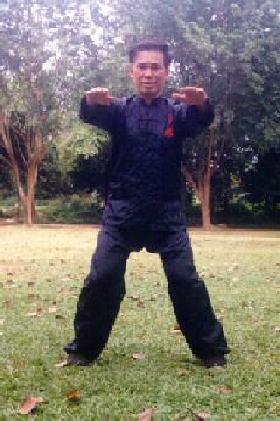 Black Bone Cheong told Hoong Hei Khoon everything about his combat in kicking the foundation (i.e. challenging the kungfu master to beat him so that his kungfu school would be close). Hoong Hei Khoon shook his head and said, “You haven’t entered the world deeply (i.e. you are still inexperienced), how can you imagine yourself to be grandiose? Your injury is due to your pompous behavior. “Later the Taoist priest, Foong Yit Yun, succeeded him, and transmitted the art to the great kungfu knight, Cheong Chun Yit. In the hands of Cheong Chun Yit, the art spread gloriously. From 36 techniques it became 72 techniques. Among the energy points, there were numb points, dumb points, faint points, death points, light points and heavy points. “Concerning techniques, there were dotting with fingers, slapping with palms, striking with knees, hitting with elbows, using staffs and maces, and secret weapons, without any limitation. 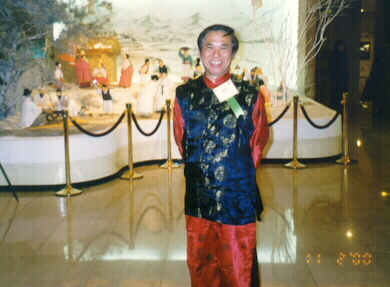 Later, Cheong Chun Yit transmitted the art to his special disciple, Wang Feng. Wang Feng further developed the techniques, making a total of 108. Besides dotting, he invented the techniques of chin-na (i.e. holding and gripping). For a time, people in martial arts regarded it as a treasure. Black Bone Cheong was touched. Black Bone Cheong rose up, and prostrated before Hoong Hei Khoon on his bed. He vowed that he would remember the advice, and be honorable to other people. Hoong Hei Khoon saw that Black Bone Cheong was brave enough to change, and was very happy. He dedicated himself to cure Black Bone Cheong. Within ten days, Black Bone Cheong did not have any more blockage and pain, and was back to normal. He took out some money, which was 100 taels of silver, and told Hoong Hei Khoon that he hoped Hoong Hei Khoon would accept it with laughter (i.e. accept the money but laugh at it as silly). After some initial refusal, Hoong Hei Khoon eventually accepted it. This entry was posted in Grandmaster Wong Kiew Kit, Kung Fu, kung fu culture, legends, Shaolin, Shaolin Temple, stories, tai chi chuan, taijiquan and tagged Grandmaster Wong Kiew Kit, Kung Fu, kung fu culture, legends, Shaolin, Shaolin Wahnam, Stories, tai chi chuan, taijiquan on October 9, 2018 by Wei Joo Lee. This is evident from the fact that despite many years’ training, he cannot defend himself with the kungfu he has learnt, is not as healthy and fit as a typical kungfu exponent recorded in classical kungfu literature, and knows little about kungfu tradition. Qualities like tolerance, endurance and perseverance are developed if you practice kungfu the way past masters did, such as practicing “Golden Bridge”, “Small Universe” or “Lifting Water” everyday for years. Qualities like mental freshness and calmness are pre-requisite if you wish to be a good kungfu fighter. Taijiquan is an internal art excellent for combat as well as spiritual cultivation. 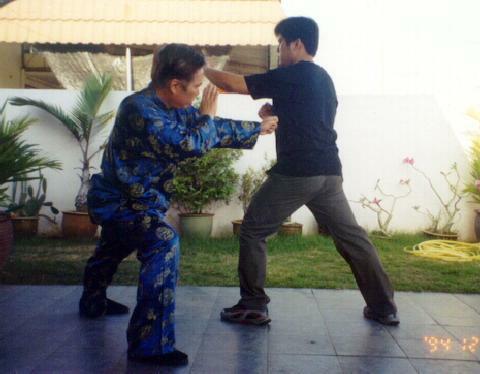 Here Goh Kok Hin grips Sifu Wong’s arm. To attain good health and fitness, we may train the Shaolin art of ‘One-Finger Shooting Zen’ or the Taijiquan art of ‘Three-Circle Stance’ everyday for six months as our set objectives. After the six month period we can assess whether we have been successful in meeting our objectives by using measurable tests like checking whether we are now comparatively free from cold and fever which we used to have, and whether we can comfortably block our seniors’ attacks in sparring practice when previously we could do so only with difficulty. 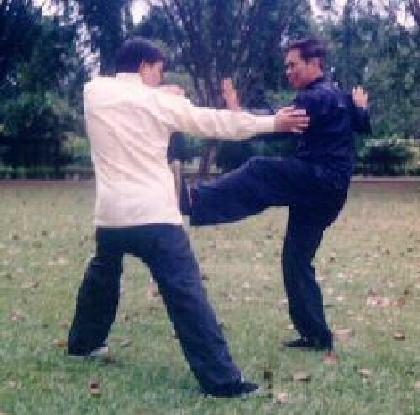 Sifu Wong applies the Taijiquan technique “Cross-Hands Thrust Kick” which not only releases the opponent’s grip but also counter-attacks him at the same time. Hence, if we are clear about what we intend to achieve in our kungfu training by setting aims and objectives, we can not only get more benefits from our practice in shorter time, but also enrich our as well as other people’s lives. This entry was posted in aims and objectives, Chi Kung, Grandmaster Wong Kiew Kit, Kung Fu, Shaolin, Shaolin Wahnam, tai chi chuan, taijiquan and tagged aims, character development, chi kung, combat efficiency, Grandmaster Wong Kiew Kit, health and fitness, Kung Fu, mind expansion, objectives, Shaolin, Shaolin Wahnam, spiritual cultivation, tai chi chuan, taijiquan on August 29, 2017 by Wei Joo Lee. Why can some people attain in six months what others may not attain in six years? This is not an exaggeration; indeed, many of my students have reported that they have benefitted in a few months what they could only read about in books but never experienced although they had previously practiced the art in question for many years. Chi kung and kungfu (including Taijiquan) provide some glaring, if not disturbing, examples. It is not uncommon today to find practitioners who have been in chi kung or kungfu for many years, some of whom are even instructors themselves, but who have no experience whatsoever of energy flow or any ability of self defence. Yet, the very fundamental of chi kung is energy flow, and that of kungfu is self defence. It is even more disturbing when some people, irrespective of whether their intention is good or selfish, start to teach chi kung or Taijiquan, which is actually a very effective form of martial art, after they have learnt some chi kung or Taijiquan movements for a few weeks, some even for a few days! Have a sound knowledge of the philosophy, scope and depth of the art you practice. Define your aims and objectives clearly. Seek a master for the best available methods to attain your aims and objectives. Assess your progress or otherwise with direct reference to your set aims and objectivs. Understanding the philosophy, scope and depth of your chosen art is the essential first step if you want good result. Such an understanding acts like a map; it not only shows you the way and how to get there, but also the potential result at the destination. Without this understanding, many people not only waste a lot of time and are often lost along the way, but also they do not actually know what they are working at. If they understand, for example, that to practice chi kung or Taijiquan, actually means to work on energy flow or to train for combat efficiency, far less people would have wasted their time over exercises that at best are gymnastics or dance. If they further understand that the scope and depth of chi kung are much more than just energy flow, though working on energy flow is its essential foundation; and that the scope and depth of great kungfu like Shaolin and Taijiquan ae not just combat efficiency, though combat efficiency is the basic starting point, they would go beyond the foundation and basic to greater heights like vitality, longevity, mind expansion and spiritual fulfilment. Where can you obtain knowledge on the philosophy, scope and depth of your chosen art? There are two main sources: living masters and established classics. Obviously if you hear it from a self-styled scholar who himself has not experienced what he says, or read it from a book which merely repeats cliches, you are unlikely to benefit much. Living masters were rare even in the past; they are rarer nowadays. If you are so lucky to meet one, treat him with the respect as you would treat a living treasure. Showing Respect to the Master suggests the minimum you should do when meeting a living treasure. If you politely ask him relevant questions, he would answer them. If he gives excuses like the answers are too complicated for you to comprehend, or they involve secrets that you should not know (unless they really are secrets, which are not frequent in general questions), you are justified in suspecting whether he is a real master. Established classics were also rare in the past, but they are more readily available today. You need to overcome two obstacles to understand the classics. One, you need to know classical Chinese; and two, you need to have some background knowledge. Most people, especially in the West, have neither of these two conditions. Their alternative is modern, easy-to-read books clearly written and well illustrated by practicing masters. Therefore, in chosing a book for your prior reading, you should decide on the following three factors: whether the book is dull or interesting, whether it is written in jargon or simple language, and whether the author and his material are authentic. It is so evident that without aims and objectives much of the learning or training is usually unfruitful, that mentioning this fact may become trite. Yet, most people practice chi kung or kungfu without set aims and objectives! Try asking some practitioners why do they practice chi kung or kungfu, and many of them will start searching for their aims or objectives after, not before, they have heard your question. Even if they have prior aims and objectives, often they are merely fashionable slogans, rather than real definitions to remind them of the direction of their training. For our purpose here, aims are general in their definition, and long-term in their attainment; whereas objectives are specific and short-term. For example, to be able to defend yourself is a general aim in your Taijiquan training, whereas to be able to release yourself from some particular locks and holds constitutes an objective. You should also set a time frame within which to accomplish your aims or objectives. Needless to say, you have to be realistic and reasonable when setting your time. For someone who has been suffering from an illness for years, for instance, it would be unreasonable to expect the disease to be overcome by just practicing certain chi kung exercises for only a few weeks. For convenience, objectives may be classified into personal objectives and course objectives. The choice of personal objectives depends on the needs and abilities of the person in question, and sometimes on his whims and fancy. Developing the art of tiger-claw, and performing well the Five Animals kungfu set are examples of personal objectives in Shaolin Kungfu training. Course objectives are related to the particular set of chi kung or kungfu exercises you intend to train for a period of time. For example, you may wish to spend six months on Golden Bridge training in Shaolin Kungfu, or on the Three Circles Stance in Taijiquan. In either case, developing powerful arms and solid stances is an appropriate course objective. To define your aims and objectives wisely (please read the webpage Aims and Objectives of Practicing Kung Fu), it is necessary to have some sound knowledge of the philosophy, scope and depth of the art in question. For example, if you do not understand that chi kung also promotes mind expansion and spiritual cultivation, you will be in no position to touch on the mind and spirit while you define your aims and objectives. 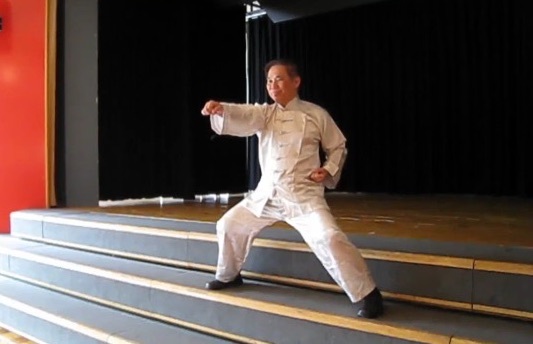 If you think (mistakenly) that Taijiquan is merely moving your body, arms and legs gracefully, the aims and objectives you set for your Taijiquan training, no matter for how long you may practice, are necessarily limited by your narrow perspective. Having set your aims and objectives, the next logical step is to seek a master to help you realize your aims and objectives. Good masters are hard to find; you have to spend some time seeking them, but it is worth all your time and effort. The webpage Qualities of a Good Master will give you some ideas what to look for in your search. Remember it is you who seek the master; he may have neither the need nor the obligation to teach you. It is simply amazing why some people presume that just because they want to learn, a master is duty-bound to teach them. It is also illogical to presume that a master would not charge any fee for his teaching, that he could live on sunshine and water. The right attitude, which often turns out to be the best approach to a master, is for you to prove yourself to be a worthy student. If you cannot find a master, at least look for a competent instructor, who must qualify in the following two conditions. One, he must be professional, i.e. he knows what he is teaching. Someone who teaches a profund art like chi kung or kungfu, after having learnt it for a few months, literally does not know what he is teaching. He does not know, for instance, that he is teaching chi kung-like or kungfu-like dance or gymnastics and not real chi kung or kungfu. The second condition is that he must be ethical, i.e. he ensures what he teaches is beneficial, and if his students develop adverse side-effects he knows about them and is capable of rectifying them. A good master will choose the best available methods for you to achieve your aims and objectives. The selection will depend on numerous variables, such as your needs and abilities, the master’s repertoire as well as environmental factors and supportive resources. You may sometimes wonder if the choice made is a good one, but if he is a good master and has accepted you as his student, it is almost always certain that he will choose the best method and procedure for you. Alternatively, you may have known from your reading or elsewhere some useful methods to accomplish your aims and objectives. Your task, therefore, is to seek for a master who can teach you your selected methods. However, if he advises you to make any changes — such as in your aims or objectives, your previously selected methods, or the procedure of training — it is again almost always certain that with his wider perspective and experience, he knows your needs and how to fulfill them better than you do. It is not without justification for the saying that real masters are worth more than their weight in gold. The fourth step is the most important and takes the most time. It is significant to note that this step is “practice, practice and practice”, and not “learn, learn and learn”. In fact, frequently in chi kung and kungfu, especially at this stage, the more you learn the less you accomplish! This does not mean that learning is detrimental; in fact, learning about the philosophy, scope and depth of chi kung or kungfu is the first essential step to obtaining the best result in your training. But if your training is geared towards chi kung or kungfu proficiency, it is detrimental merely to learn, learn and learn. There are some crucial differences between practicing and learning. Practicing is practical and experiential; learning is theoretical and intellectual. Practicing deals with what has been known; its purpose is to develop and consolidate skills, force or ability. Learning deals with what is to be known; its purpose is to obtain new knowledge. Masters are made through practice, scholars through learning. Masters perform, and directly experience what they profess. 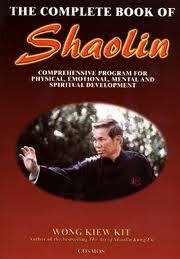 Chi kung or kungfu masters, for example, can demonstrate internal force, and experience vitality and mental freshness. Scholars merely talk, but often have no direct experience of what they know. Nowadays there are many chi kung and kungfu scholars, especially in the West, but there are very few masters, even in the East. If you want to become a master, or just to be proficient, in chi kung or kungfu, you simply cannot escape this long process of practice, practice and practice. You do not practice just three times, or for three months, but preferably at least for three years. There is a saying that “three years of practice will bring a small success; ten years a big success”. What you practice may be simple, and usually consists of only one or a few techniques! Actually it does not really matter what you practice, so long as you practice, practice and practice long enough, you will become a master of what you practice — even if your chosen method is inferior. If you continuously strike your palms onto a sand bag, or strike your leg against a coconut tree every day for three years — methods which are considered “inferior” in our Shaolin Wahnam School of Chi Kung and Kungfu — you will become a master of iron palm or iron leg, and may have the power to kill a person with just one strike. Unless you are particularly fond of showing off your brute strength, breaking bricks or someone’s bones with your palm or leg is normally not a rewarding thing to do. Hence, if you have acquired a good philosophical background in your first step, you will be in a better position to choose a “superior” method to practice in this fourth step for more rewarding results. You should access your progress, or otherwise, according to your set aims and objectives. You must, of course, follow your master’s advice and the conditions required by the method of training. If your master asks you to breathe slowly and gently, it is sheer folly to attempt to be smarter than the teacher by breathing fast or forcefully. If the method requires you to practice daily for six months, it is a waste of your time and your teacher’s effort if you discontinue your training after three weeks because you have not experienced any effect. If you follow your master’s advice and practice according to the requirements of the established method, you will obtain the results that method is reputed to give. 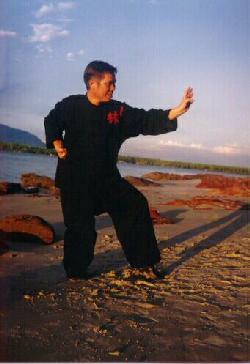 For example, Self-Manifested Chi Movement is reputed to clear energy blockage and balance energy level, and the pattern Grasping Sparrow’s Tail in Yang Style Taijiquan is reputed to be an effective counter against all modes of attack. If you have practiced them correctly and adequately, you will have your energy blockage cleared, and be able to defend against all attacks. Why is this so? It is because the methods are established, which means they have been time tested for centuries to produce the expected results. Rectify the fault and the expected results will follow as a matter of course. Your assessment is made not only at the completion of the training but also regularly during the course itself. Of course modifications, but not complete changes, are made when necessary, but they should be done with the master’s approval and supervision. These Five Steps to Maximun Results may enable you not only to obtain remarkable results in shorter time, but also to approach the full potential your training can offer. For example, students who do not have the benefit of these five steps may be quite contented in their chi kung or kungfu training once they can cure their illness or attain combat efficiency, thinking that is all what chi kung and kungfu can do. Others who follow the five steps will understand a wider scope and greater depth of their art, and will therefore in a position to derive other benefits like mental clarity and spiritual joy. The Five Steps show not only the procedure to follow but also the relevant dimensions to cover, involving all the three essentials in any training, namely the method, the teacher and the student. Hence, with this understanding one can appreciate that to get the best results in any training, be it chi kung, Taijiquan, Shaolin Kungfu, playing the piano or painting, merely having good techniques is not enough, he (or she) must also have a good teacher and himself be a good student. With such advantages and foresight, it is not surprising you can achieve in six months what others may not be able to do so in six years. 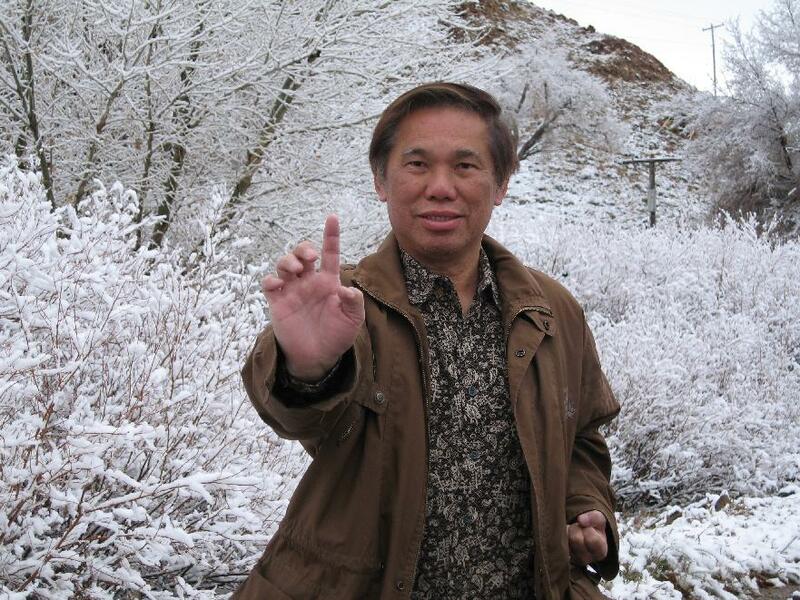 This entry was posted in aims and objectives, Chi Kung, Grandmaster Wong Kiew Kit, Kung Fu, kung fu culture, Shaolin, Shaolin Wahnam, tai chi chuan, taijiquan and tagged aims and objectives, assessing progress, chi kung, Grandmaster Wong Kiew Kit, Instructor-student relationship. master-student relationship, Kung Fu, kung fu culture, philosophy scope and depth, practise, Shaolin, Shaolin Wahnam, tai chi chuan, taijiquan, training on August 15, 2017 by Wei Joo Lee. Creating the right mental frame for the best learning. 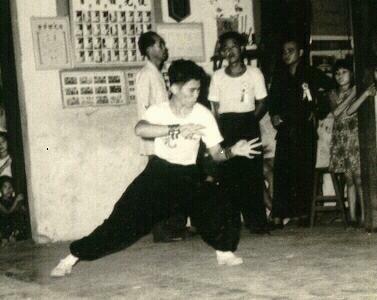 An old photograph showing Sifu Wong (in his teens) performing a Hoong Ka kungfu set with his master, Sifu Lai Chin Wah, popularly known as Uncle Righteousness (middle behind in white T-shirt), looking on. An art is best learnt in its culture. One remarkable difference between the culture of the East and the West is the respect shown to a master. In this connection I have little complaint because my students, from both the East and the West, generally show much respect to me. But I have met many Eastern masters commenting on the lack of respect, sometimes utter disrespect, shown to them. Often it is because of the Western students’ ignorance of Eastern ways rather than their wilful discourtesy that their Eastern masters of chi kung or kungfu (including taijiquan) regard as disrespect. The following are some simple and helpful points both Eastern and Western students may follow to show the respect deservedly due to their masters. First of all you must know how to address your master correctly, something which many Western students are ignorant of. Never, never, never call your master by his name, especially if he comes from a Eastern culture. In some Western societies it may be considered personal and desirable to call your senior or even your boss by his first name, but in chi kung or kungfu culture it is considered extremely rude. It is worthwhile to remember that your master is not your peer or equal. Your master is at least one, but usually many levels above you, otherwise he cannot and should not be your master. The proper way to address your chi kung or kungfu master is “Sifu”, which is the Cantonese dialect of the Chinese language for “Master”. The Mandarin pronunciation is “Shifu”. Actually if a great master answers you when you call him “Sifu”, you are, not he is, honoured; it shows he accepts you as a student. I always felt greatly honoured whenever I called my masters Lai Chin Wah and Ho Fatt Nam “Sifu”, because they were two of the greatest masters I had found. If your master’s surname is Chen, you should call him “Sifu”, or “Master” if you want to sound Western, but strictly speaking not “Sifu Chen” or “Master Chen” for that is the address the public, not his students, would call him. If you call him “Sifu Chen” or “Master Chen” you are distancing yourself from him. Besides showing propriety in your address, you should also show propriety in your behaviour. Do not, for example, put your hand around him, pat him on his shoulder, or hug him — leave that to his wife, which following Eastern social etiquette is also only done in private. When you stand or sit in front of or near him, hold yourself upright. You need not stand at attention like a private in front of his sergeant major, but you should not stand sloppily, with arms akimbo or hands in your pockets. When you sit do not cross your legs with a foot pointing at him, or expose your groins to him even though they are hidden by your pants. It is only sensible that you should listen when your master speaks, especially if he is explaining some points. Yet, it is not uncommon to find some adult students (male as well as female) lying on the floor, sometimes with their hands folded at the back of their head, their eyes close and their legs open in an inviting position! This shows not so much a disrespect to the master, but an utter lack of good manners on the part of the students. It is also bad manners to arrive at your class late. In the past in the East, late students would be asked to go home, or to leave permanently if they were late habitually. The logic is simple: the master has something invaluable to offer; if you come late you tacitly show that you do not value his teaching. But if there is a valid reason for your being late, you should first greet him from the door, walk quietly but briskly to him, respectfully wait if he is pre-occupied, then explain your reason and apologize. On the other hand, you should wait patiently if the master is late — even for hours! If you think this is unfair, you are probably not ripe for great arts. There are stories of great masters who purposely arrived late, not for hours but for days, and then passed on their secrets to the few wise, patient students. Although it seldom happens nowadays, it will reflect a splendid grasp of chi kung and kungfu culture if you and your classmates stop whatever you are doing, stand up respectfully, bow and greet your master as he comes in. Do not leave your class half-way. But if you have to leave early for some reason, explain that to your master before-hand and politely ask his permission. At the appointed time, ask his permission again, then bow and thank him before leaving. At the end of a class, the students should leave after the master, not before he does. 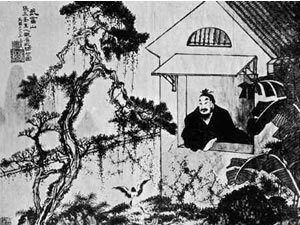 However, if the master stays back for a considerable length of time, such as explaining some points to some students who stay behind to ask him, other students may leave first, after bowing to the master. In the East, it is customary for the teacher to arrive last and leave first. Interestingly, it is often the reverse in the West. The teacher, Western in culture if not in race, often arrives the earliest, sweeps the floor and prepares cookies and drinks which he will serve during recess to his students, who will joke and laugh. At the end of the class, the teacher will stand at the door, shake the students’ hands and thank them for their attendance. He will then throw away the garbage his students have left behind if he still has energy left, and check that everyone has gone home before he closes the door. In Eastern culture it is always the students who offer drinks to the teacher. When you offer your master a cup of tea, it is preferable to do so with two hands. In Eastern societies, accepting a cup of tea and drinking it has deeper significance than merely quenching thirst. In the past, even if someone had done you great wrong, if he or she offered you a cup of tea, usually while kneeling down and then knocking his or her head on the ground, and you, sitting down in front of other witnesses, accepted and drank it, it meant that you accepted his or her apology, were ready to forgive all the wrong, and would not take any action whatsoever in future. The students should also offer a seat to the master, and the seat chosen is usually the best one available. If the master is not seated, the students should remain standing, unless the master asks them to sit down. If they dine together, the students would wait until the master has made his first move to eat or drink. When your master is explaining or demonstrating something to you, listen attentively and respectfully. Do not bluntly say you already know what he is teaching, even if you really know. In chi kung and kungfu culture, doing so is not being straight-forward, it is being insulting — you are implying that the master does not know what he is doing. I recall some occasions when my masters taught me something that I already had learnt quite well. Thanks to my training in Eastern culture, I followed their instructions faithfully although they appeared very simple and below my level then. Only much later did I realize that had I not follow these apparently simple instructions I would not have acquired the foundation necessary for advanced development. Do not ever make the fatal mistake of telling a master what or how to teach you. This is not only unbecoming, it is also very foolish, for you will be denying yourself the very purpose why you need him. If he is a master, he knows best what and how to help you attain your best results; he is able to see your needs and development in ways far beyond your limited perspective. Some westerners may find the above-described master-student relationship odd, just as those accustomed to Eastern culture would find the behaviour of some western students unbelievable. It may be more surprising, especially for those who think they are doing the master a favour by paying him a fee to learn, to know that all these customs of respect for the master are actually for the students’, not the master’s, interest. Someone who teaches kungfu dance or gentle exercise for a living will probably care more for your fees than your respect, but a master whose art gives you good health, vitality, mental freshness and spiritual joy actually does not care whether you respect him more or your dog. But those students who have experienced the wonderful benefits of genuine kungfu and chi kung will understand that the respect given to the master is not only a sincere token of appreciation to the master for sharing his art, but also constitutes an ideal psychological state for the training to take place. 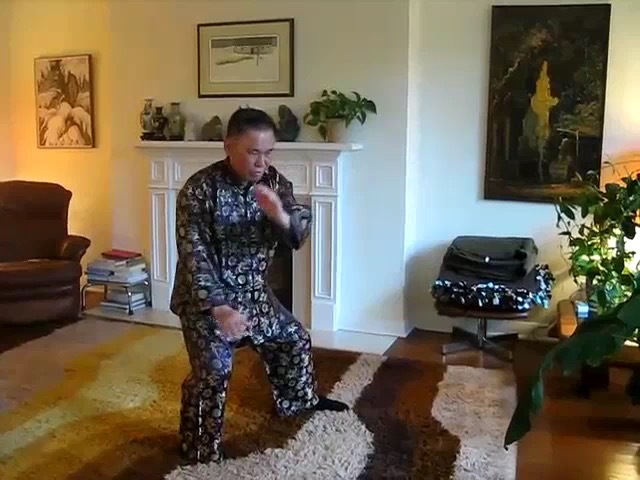 This entry was posted in Chi Kung, chinese culture, Grandmaster Wong Kiew Kit, gratitude, Kung Fu, kung fu culture, Shaolin, Shaolin Wahnam, showing respect, tai chi chuan, taijiquan and tagged chi kung, chinese culture, Grandmaster Wong Kiew Kit, gratitude, Kung Fu, kung fu culture, Qigong, Shaolin, Shaolin Wahnam, showing respect, tai chi chuan, taijiquan on September 20, 2016 by Wei Joo Lee. 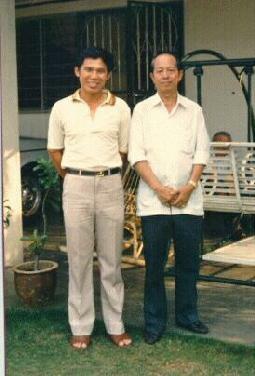 Sigung, you were unbeaten in sparring in your young days. Can you please share your secret with us? I used to say “in my young days”, but Douglas, my most senior student in Europe, reminded me at the time when I was about 50 that I was still young, so I have changed the expression to “my younger days”. Even now when I am over 70 and still feel young, I use the expression “in my younger days”. In my younger days, especially between about 20 to 40 years of age, I spent a lot of time looking for sparring partners. At first I could beat them not because I was good but because I was smart. I chose opponents whom I had confidence of beating. I made my victory doubly sure by doing a lot of homework, i.e. by practicing over and over again sequences which I used in the sparring. I devised the sequences from the way I expected my opponents would fight. This was not difficult because most of my opponents then were Taekwondo and Karate exponents, with some Boxing and Judo practitioners, and the way they fought was quite stereotyped. For example, if I had to spar with a Taekwondo black-belt, I knew that he would probably start with some jabbing or side kicks, then round-house kicks, and eventually reverse round-house. So I would avoid his initial jabbing and side kicks, slant my body backward to avoid his round-house kicks, and when he executed a reverse round-house I would swiftly move forward with a coup de grace. I would practice this sequence many, many times, sometimes with modifications. When the actual situation occured during sparring, and this planned scenario almost always happened, I could use my practiced sequence to defeat my opponent easily. I always gently tapped my opponents; I never hurt them. 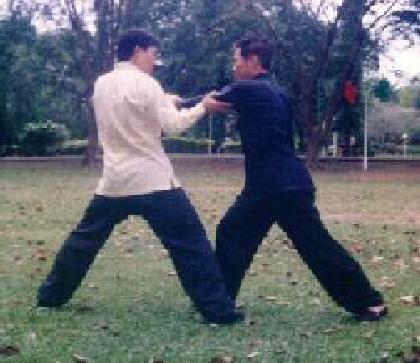 Having learnt from Sifu Ho Fatt Nam, my combat efficiency, including my internal force, improved tremendously. But initially I still used the same strategy. I chose sparring opponents whom I had confidence in beating, and I did a lot of homework. But gradually I did not have to do much homework as I could respond spontaneously and correctly to opponents’ attacks. As I became confident of my combat efficiency, I did not go out to look for sparring opponents. I always used kungfu, including good stances, in my sparring. I never used Kick-Boxing, Muay Thai or any other martial arts, although I sparred with opponents from all styles. The difference was that in my earlier years of sparring I used simple punches and kicks, whereas in my later years my techniques were more sophisticated, like felling and chin-na. I discovered that when I used sophisticated kungfu techniques, my opponents just did not know how to defend against them. So, if I have to give a secret for my unbeaten sparring record, I would say that I used a superior fighting art against opponents whose fighting arts were inferior to mine. Presuming that the skill levels were about equal, if I used simple punches and kicks, my opponents would have no difficulty defending against them. But if I used sophisticated techniques, like subtle felling and chin-na attacks, together with tactics and strategies that created situations for me to apply these attacks, my opponents had no techniques in their repertoire to defend. What are the effects of over-training? For convenience, over-training may be divided into three stages. At the most serious level, a practitioner who has over-trained becomes very weak and sick, or may even die. It is unlikely that practitioners who have over-trained will arrive at this serious stage, certainly not in our school. But in my younger days, before I started Shaolin Wahnam Institute, I met a well-known kungfu master, who was a daughter-in-law of a kungfu patriarch, who either had over-trained or had practiced wrongly. As I knew him previously he was strong and full of vitality. When I last saw him, he was extremely weak and sickly. I regretted that I did not know chi kung healing them, or else I would have helped him recover. The intermediate stage of over-training was when over-cleansing was clearly noticeable. Over-cleansing is the result of over-training, but practitioners are often confused over both these conditions. The symptoms are pain, tiredness, sleepiness and feeling of nauseousness. The practitioner who has over-trained feels unpleasant and uncomfortable, and is sometimes sick. At the beginning stage of over-training, the practitioner feels tired and sleepy after his chi kung training, instead of feeling energised and fresh. The symptoms of cleansing are mild and may not be noticeable. Many practitioners over-train mildly at one time or another, and he will soon adjust to the excess energy from his training even without doing anything special. What a typical Shaolin Wahnam student achieves in one day, it took Grandmaster Wong more than a month to achieve in his student’s days. Hence, it is important to guard against over-training. In a chi kung class, people had different diseases but they overcame their diseases by practicing the same exercises you taught. How did chi kung know which disease to cure? In the chi kung perspective, which is also the traditional Chinese medical perspective, all diseases are caused by energy blockage. Western medical perspective uses different names for the different types of energy blockage. In Western terms, if energy is blocked from inhibiting harmful micro-organisms from attacking a person, he is said to suffer from an infectious disease. If energy is blocked from working an organ normally, the patient is said to suffer from an organic disorder. If energy is blocked from flushing out negative emotions, he is said to suffer from psychological problems. Chi kung works at the root cause, which is energy blockage. Other Chinese therapeutic methods, like herbalism and acupuncture, which also deal with energy blockage, work at higher hierarchical order. An acupuncturist or a herbalist will find out where the energy is blocked, and applies acupuncture or herbs to clear the blockage accordingly. Hence, in other Chinese therapeutic methods, correct diagnosis is very important. It may sound ridiculous to those not familiar with chi kung philosophy that diagnosis is not necessary in chi kung healing! This is because chi kung deals with the root cause. Once the energy blockage is cleared, the patient recovers as a matter of course. Different students in a same class might suffer from different diseases, like rheumatism, diabetes, cancer, chronic infection, and depression. But regardless of what the disease was, the root cause was energy blockage. Once the energy blockage was cleared, the patients recovered. How did practicing chi kung clear energy blockage? It was through chi flow. The chi flow generated by chi kung practice cleared the energy blockage. How did the chi flow know where the energy blockage was? Or, how did chi kung know which disease to cure? It was a natural characteristic of chi flow to flow from high energy level to low energy level. Disease areas were areas of low energy level where there was insufficient energy to perform natural physiological and psychological functions to maintain normal good health. The energy generated by practicing genuine chi kung would naturally flow to these low energy areas to clear the blockage. When the blockage was cleared, the students would recover, regardless of what diseases Western medicine might call them, as their energy flowed to these areas to resume natural physiological and psychological functioning to restore good health. Can we transmit chi to friends to clear their blockage and help them recover? You can but you may not. In other words, it is within your ability to do it, but you should not do it. In fact, every person has the natural ability to transmit chi, or energy, to another person. Mothers do this to their babies when the mothers comfort them. When your girlfriend is cold, if you hug her you transmit chi to her to warm her. But unless you are trained, the chi you transmit to friends to help them clear their blockage is unlikely to work. You may harm them and harm yourself. If your friends’ energy is blocked, which is the reason why they are sick, adding more chi to them will aggravate their blockage causing more harm. Their sick chi may back-flow to you making you sick too. Transmitting chi to patients to clear their blockage and help them recover is an important part of chi kung healing. A chi kung healer must be properly trained. 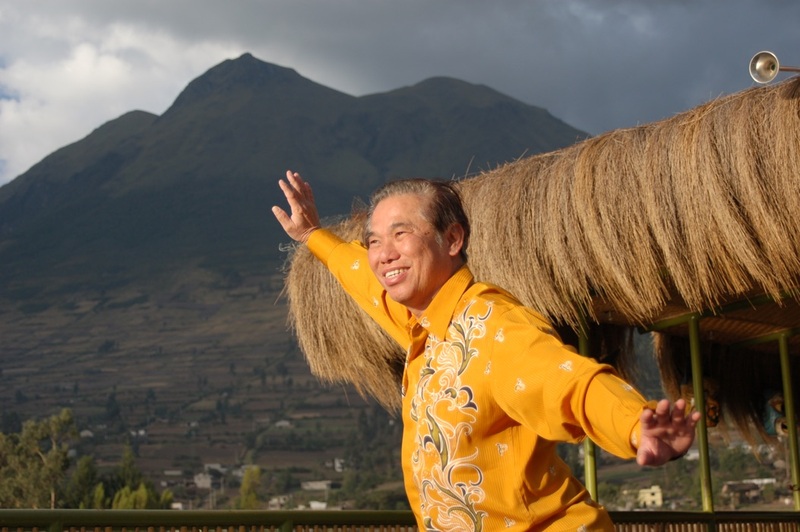 Chi kung healing is not something any person can play about with. Some schools pay much attention to visualisation. 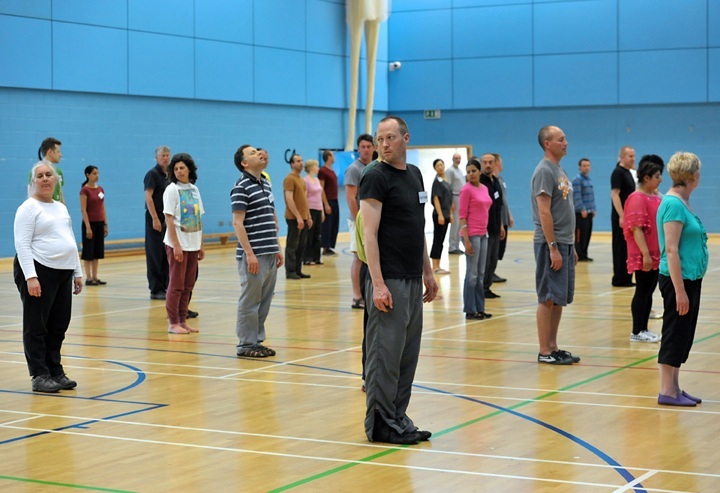 Can you please tell us more about visualisation in chi kung training? Chi kung operates at three levels — the levels of form, energy and mind. The proportions of benefit by practicing chi kung at these three respective levels are 1, 3 and 6. In other words, if all other things were equal,. practitioners operating at the form level may obtain 10% of the benefit of the chi kung training, those operating at the energy level obtain 30%, and those operating at the mind level obtain 60%. As most chi kung practitioners practicing genuine chi kung operate at the form level, where they perform many chi kung techniques for a long time and get some chi flow, whereas we practice chi kung at all the three levels of form, energy and mind, our benefit is 10 times more than what most other practitioners get. A common misconception among some people is that when a practitioner operates at the mind level, he has to visualise. This is not true. Operating at the mind level, the practitioner may or may not visualise, but he must be in a chi kung state of mind, or at a heightened level of consciousness. Many practitioners, especially those who learn from books and videos, confuse visualisation with intellectualisation. They think they visualise when they actually intellectualise. Even if they visualise, it is still different from visualisation in the mind level of chi kung. These practitioners visualise while in their ordinary state of mind, whereas visualisation in chi kung must be performed in a chi kung state of mind. It is actually having a gentle thought rather than visualisation. We do not need to employ visualisation at the elementary level of our chi kung exercises, but we still operate at the level of mind (even without visualization). Hence, our students get more benefits practicing our elementary chi kung exercises than other practitioners practicing advanced exercises. Many people may not believe it, and some may become angry at this statement, but it is a fact. Some examples of our elementary chi kung exercises are 5-Animal Play, 18 Jewels, and 18 Lohan Hands. We use visualisation for some of our intermediate chi kung exercises, and do not use visualisations for other intermediate chi kung exercises. Some example of our intermediate chi kung exercises where visualisation is needed are Cosmic Shower and Abdominal Breathing, and some examples where visualisation is not needed are stance training and 18-Lohan Art. We generally use visualisation in our advanced chi kung exercises, though they are some exceptions. Two remarkable exception are Sinew Metamorphosis and Cosmic Breathing which are very powerful. Examples of advanced exercises where visualization is needed include Bone Marrow Cleansing and Expanding into the Cosmos. What, in your opinion, will Shaolin Kungfu and Taijiuan be in a hundred years from now? In my opinion in a hundred years from now more people will practice genuine Shaolin Kungfu and genuine Taijiquan, instead of practicing Shaolin forms for demonstration or for free exchange of blows, and Taiji dance. The total number of people who practice the genuine arts will still be small, but it will be bigger than the number now where most people, despite their good intention, cannot differentiate the genuine from the bogus. 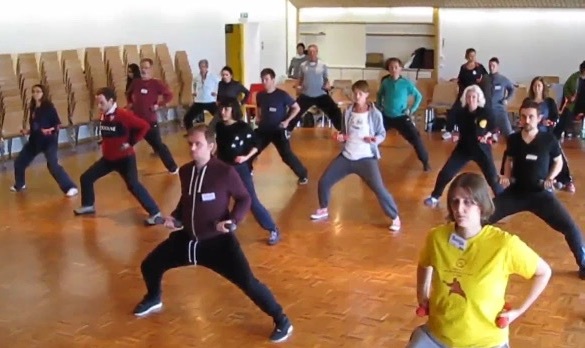 Genuine Shaolin Kungfu and genuine Taijiquan give practitioners wonderful benefits. Besides being able to defend themselves when needed, these genuine arts provide practitioners with good health, vitality and longevity, as well as mental clarity and spiritual joys. Masters who teach bogus Shaolin Kungfu and bogus Taijiquan also say that their arts give good health, vitality and longevity as well as mental clarity and spiritual joys, but their students never attain these benefits, and they don’t realize it. By the time they realise this fact, they are too proud to change to genuine arts even if they have the opportunities, but usually they may not have the opportunities as genuine Shaolin Kungfu and genuine Taijiquan are very rare nowadays. 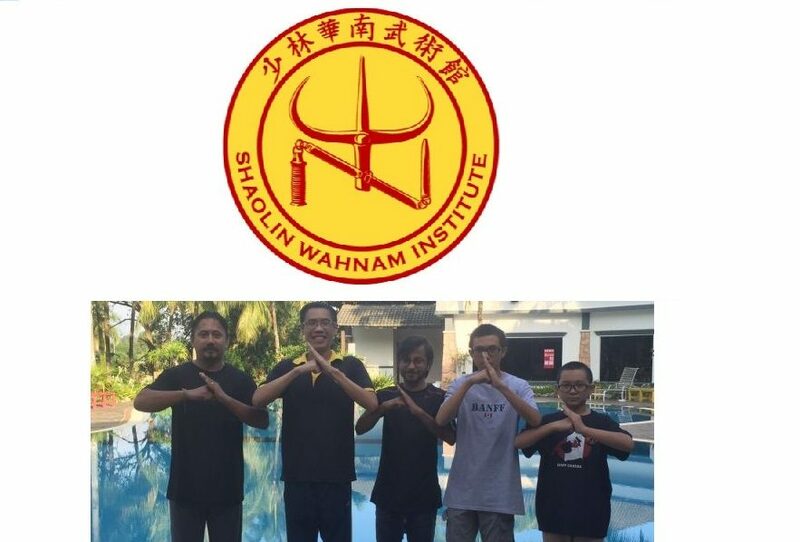 It is precisely to preserve genuine Shaolin Kungfu, and later genuine Taijiquan, that I established Shaolin Wahnam Association in the early 1980s, which later evolved to our school, Shaolin Wahnam Institute, in the middle 1990s. We have progressed very well. We now have more than 60,000 students spread over more than 35 countries in the world. Even if I were to retire tomorrow, our Shaolin Kungfu and Taijiquan as well as chi kung will continue to spread as we have very good instructors. It is legitimate to ask what justification we have to claim that our Shaolin Kungfu and Taijiquan are genuine. The benefits our students get correspond exactly with what genuine Shaolin Kungfu and genuine Taijiquan will give. Besides being able to defend ourselves using our arts, our students have good health, vitality, longevity, mental clarity and spiritual joys. What is the difference between chi kung and nei gong? Chi kung means “energy art”, and nei gong means “internal art”. In this case, “chi kung” is in English spelling, and “nei gong” is in Romanced Chinese spelling. In Romanized Chinese spelling, chi kung is “qi gong”, and in English spelling hei gong is “nei kung”. Because we are used to English spelling, we may think that Romanize Chinese spelling is funny. Actually it is English spelling that is funny. “Bus”, for example, is pronounced as /bas/, not /bus/, and “phone” is pronounced as /fon/, not /phone/. The two terms, “chi kung” and “nei gong”, can be used interchangeably, i.e. they have similar meaning though the connotation may be different. Chi kung is a modern term, nei gong is more classical. For example, 18 Lohan Hands and Sinew Metamorphosis can be called chi kung or nei gong. Calling some exercises as chi kung gives a connotation that they are modern and are practiced to maintain some general well-being. Calling them as nei gong gives a connotation that they are classical inheritance practiced for martial art purposes. In this connection, most of our chi kung exercises are more aptly described as nei gong than as chi kung, especially when chi kung has today degraded into gentle physical exercise, or “ti cao” (pronounced as t’i c’ao) which is bodily exercise. But we still call them chi kung exercises because the term “chi kung” has been established. We develop a lot of internal force in our chi kung or nei gong exercises. What are we to do with the internal force? It is like asking what we are to do with money when we have earned a lot of money. Use it, force or money, wisely. To enable us to have better results no matter what we do. Maintaining life is the most important function of internal force. It is also the function that many people with internal force, including genuine masters, fail to realize. The force that changes the breakfast you ate into blood and flesh as well as vital energy is internal force. The second function of internal force is to enhance life. It is similar to but not the same as the first function. Enhancing life can be manifested in many ways. Having zest in your work and joy in spending time with your family are some of the manifestations of enhancing life. The third function is to enable those with internal force to have better results than when they did not have internal force, in whatever they do, including martial arts, intellectual work, sports and playing games. Take a few seconds to reflect on this tremendous benefit. No matter what you do, because you have internal force you will do better than when you did not have internal force! This entry was posted in chi flow, Chi Kung, Chi Kung Healing, chi kung state of mind, Grandmaster Wong Kiew Kit, Healing, internal force, Kung Fu, qigong, question-answer, Shaolin, Shaolin Wahnam, tai chi chuan, taijiquan and tagged chi flow, chi kung, chi kung healing, chi kung state of mind, Grandmaster Wong Kiew Kit, healing, internal force, Kung Fu, Qigong, QUESTIONANSWERS, Shaolin, Shaolin Wahnam, tai chi chuan, taijiquan on August 2, 2016 by Wei Joo Lee. Can you tell us more about heart to heart transmission? Heart to heart transmission is self-explanatory. It means the transfer of knowledge, skills, wisdom or realization from the heart of the teacher to the heart of the student. However, like many arts such as chi kung and spiritual cultivation, the uninitiated may still not understand the meaning even when it is clearly explained. A good example is “chi”, or energy. Students in our school do not ask what chi is because they realize its meaning through direct experience. But many chi kung practitioners still ask what chi is despite having practiced chi kung, or what they think is chi kung, for many years. It is because they do not have a direct experience of chi. All great arts are not merely taught by a teacher to his students, but are transmitted by him to them from heart to heart. It is failing to appreciate this fact, mainly due to a lack of direct experience, that many people think, mistakenly, that they can learn great arts from books or videos, or that all teachers of these arts are the same. It is also due to a failure to appreciate this fact that some people ask me what chi kung exercises they should practice to overcome certain illness. It is not the kind of exercises they perform, i.e. the techniques, but how they perform them, i.e. the skills, that are crucial in enabling them to overcome illness. In other words, even when they know the best techniques but lack the necessary skills, they would not overcome their illness. Skills are best acquired from a competent teacher. On the other hand, even when a person has only mediocre techniques but good skills, he may overcome his illness. It is because of our understanding of this fact about techniques and skills, that we have become very cost-effective in our training. Indeed, we are cost-effective to a ridiculous extent, that our students can attain in one month what it takes even masters a year to attain! Masters take a much longer time to attain similar results because they do not differentiate between techniques and skills. They practice appropriate techniques dedicatedly and develop the necessary skills unknowingly, which may happen haphazardly. Only when the necessary skills are present during their training that the desired benefits result. Hence, they do not have the great advantage of accumulated benefit even when they practice everyday, because, as they are unaware of them, the necessary skills do not occur every time they practice. This understanding between techniques and skills constitute a crucial part of heart to heart transmission. It is skills that are transmitted from heart to heart, not techniques. Let us take Cosmic Shower as an illustration. An excellent technique for Cosmic Shower is Carrying the Moon. Students may practice Carrying the Moon correctly and diligently, but they may not have a cosmic shower. Indeed, most of them do not have even an energy flow. They practice the technique as gentle physical exercise, not as an art of energy. Some of these dedicated students may eventually, but without their conscious awareness, develop the skills of generating an energy flow. Next, usually after many years, a very few of these dedicated students may experience a cosmic shower after they have unknowingly developed the necessary skills. Our students are very lucky. When they take a course on Cosmic Shower, the necessary skills are transmitted to them. By applying these skills they can have a cosmic shower in just one day! As I mentioned earlier, this is ridiculous, but true. How do our students know that they have a cosmic shower? In principle it is the same as asking how do people know they eat an orange or drink some coffee. They know from direct experience. Our students know they have a cosmic shower as surely as those eating oranges or drinking coffee know they eat oranges or drink coffee. Those who have no experience of a cosmic shower, eating oranges or drinking coffee will not know regardless of how well the events are described to them. The transmission must be from heart to heart, not merely giving instructions from mouth to ear. Let us take an example. A teacher may ask his students to relax, which incidentally is a very important requirement in any internal cultivation. The instruction comes from the teacher’s mouth, and enters the students’ ears. But the students may not be relaxed. No matter how well they perform the techniques, they will not get the benefit of the art. On the other hand, when a teacher from our school asks his students to relax, it is transmitted from his heart to his students’ heart. He sincerely wants his students to relax so that his teaching is successful, and his students genuinely want to relax so that they derive the benefit of the training. When I teach a class on Cosmic Shower, I sincerely want to impart the necessary skills, and the students genuinely want to follow the instructions so as to get the desired results. This entry was posted in Chi Kung, Chi Kung Healing, Grandmaster Wong Kiew Kit, gratitude, Kung Fu, Shaolin, Shaolin Wahnam, tai chi chuan, taijiquan and tagged chi kung, Grandmaster Wong Kiew Kit, gratitude, healing, Kung Fu, Shaolin, Shaolin Wahnam, tai chi chuan, taijiquan on July 5, 2016 by Wei Joo Lee.